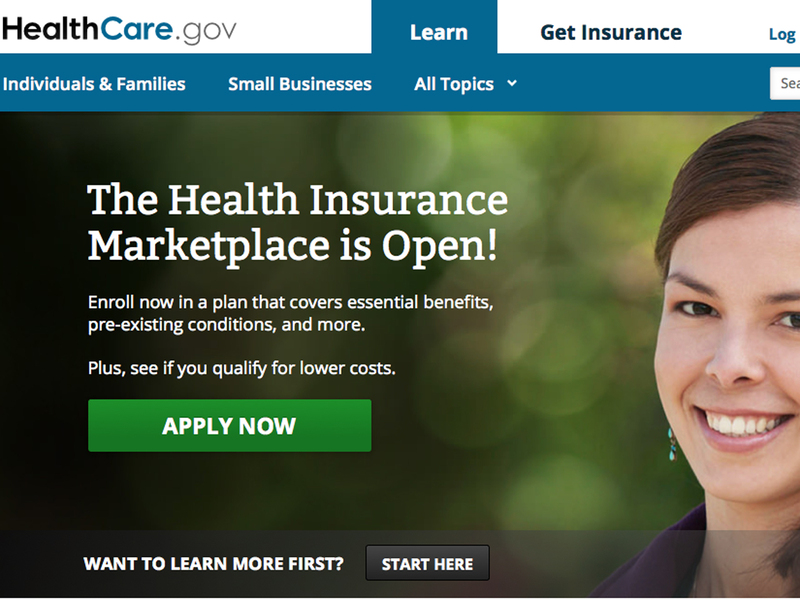 Healthcare.gov, the Obamacare website that uninsured Americans in 36 states will use to purchase coverage, should be running more smoothly this week after technical improvements made over the weekend, according to the administration. "The work done to increase access to HealthCare.gov in light of the overwhelming demand is beginning to show results," Health and Human Services (HHS) Department spokeswoman Joanne Peters told CBSNews.com. "Call center wait times are seconds, not minutes, and people have been enrolling over the phone 24/7." Work to expand the site's capacity has led to more people successfully applying for and enrolling in health coverage online, with wait times being shortened by approximately 50 percent since Friday, according to Peters. "But we won't stop until the doors to Healthcare.gov are wide open, and at the end of the six-month open enrollment, millions of Americans gain affordable coverage," she said. The online marketplaces where consumers can comparison shop for private insurance -- referred to as exchanges -- opened on Tuesday with mixed results. The administration pointed to the high traffic on healthcare.gov as a positive sign, but reports of website failures came in all week. The website was closed during low-traffic periods over the weekend for technical maintenance. The administration has largely pointed to the high traffic on healthcare.gov to account for its problems. White House spokesman Jay Carney on Monday defended the website's functionality, remarking, "Nothing like this has been done before... If we had listened to Republicans, I think the assumption is nobody would have enrolled, nobody would have called." To address that issue, the administration is adding more server capacity, adding dedicated hardware for the specific component of the system that was over-stressed, and making software changes so that the system is more efficient and can handle higher volumes. The Wall Street Journal -- citing technical experts and "people close to the development of the marketplace" -- reports that the site is plagued by coding problems and architectural flaws. Information technology experts who reviewed healthcare.gov for the Journal said it appeared to be built on a sloppy software foundation, while engineers at Web-hosting company Media Temple Inc. said its software code was inefficient. In spite of the problems, HHS said on Friday that "the system is working," and that the traffic on the site "showed the pent up demand that Americans have for affordable, quality health coverage." By Friday, according to the department, healthcare.gov had seen 8.6 million unique visitors, there were 225,000 requrests for online chats. By Monday, the marketplace's call center received more than 560,000 calls. In an interview with the Associated Press over the weekend, President Obama acknowledged the site's problems but downplayed their ultimate significance. "We are confident that over the course of the six months -- because it's important to remember people have six months to sign up -- that we are going to probably exceed what anybody expected in terms of the amount of interest that people have," he said. People trying to sign up, he added, "definitely shouldn't give up."